Mold Pro of Idaho was formed to provide protection for builders, realtors, landlords, business owners and home owners against the health risks of mold, bacteria, fungus and other harmful microbes. Recently, a nationwide awareness has developed regarding "sick home/building syndrome". Today's homes and businesses are being built "tighter" and moisture is being trapped within the walls before, during and after construction. This is contributing to the growth of toxic mold, often referred to as "black mold". 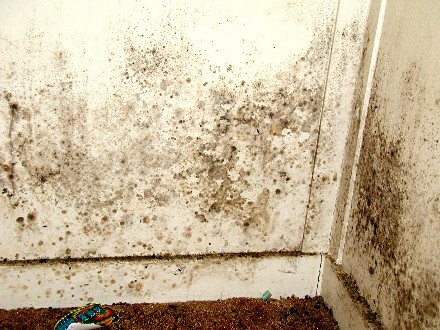 This mold travels through the air and is inhaled or ingested by the occupants causing a multitude of health problems. The problem of black mold has been labeled the "next asbestos" by many experts. Lawsuits are springing up all over the country because of the severity of the problem. Mold Pro of Idaho is here to help you restore a healthy environment. Mold Pro of Idaho's extensive training, certifications, EPA registered products and time-tested protocol produce unmatched results. YOU CANNOT PUT A PRICE TAG ON YOUR HEALTH! Copyright . Mold Pro of Idaho. All rights reserved.